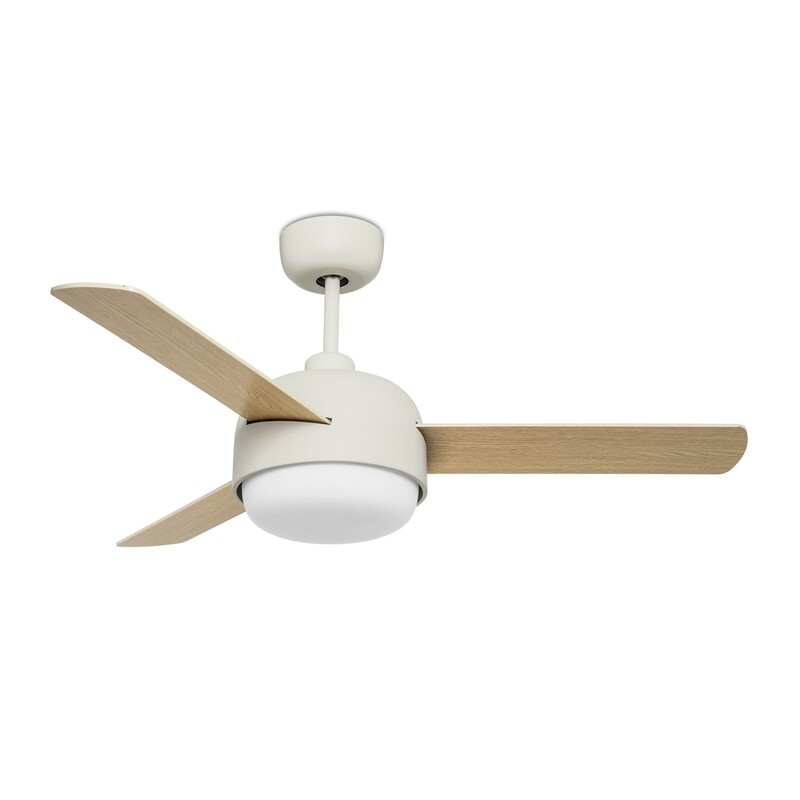 Ceiling fan KLAR White with Light 106cm / 42" Ceiling fans for domestic and professional environments Ceiling fans with remote control & lighting 100 - 119 cm / 40" - 47"
LEDS C4 Ceiling fan KLAR White with Light and Remote Control 106cm / 42"
Made by La Creu, the KLAR ceiling fan with light has a timeless chic design. 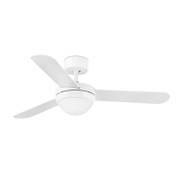 The subtle elegance of the colour off-white makes this fan ideal for living and business environments. The diameter of the blades comes up to 106.6 cm or 42 inch, they are finished in off-white and light oak on the reverse, meaning they can be mounted to show off that particular colour that suits your taste better. Its size predestines the KLAR ceiling fan for use in medium-sized rooms. 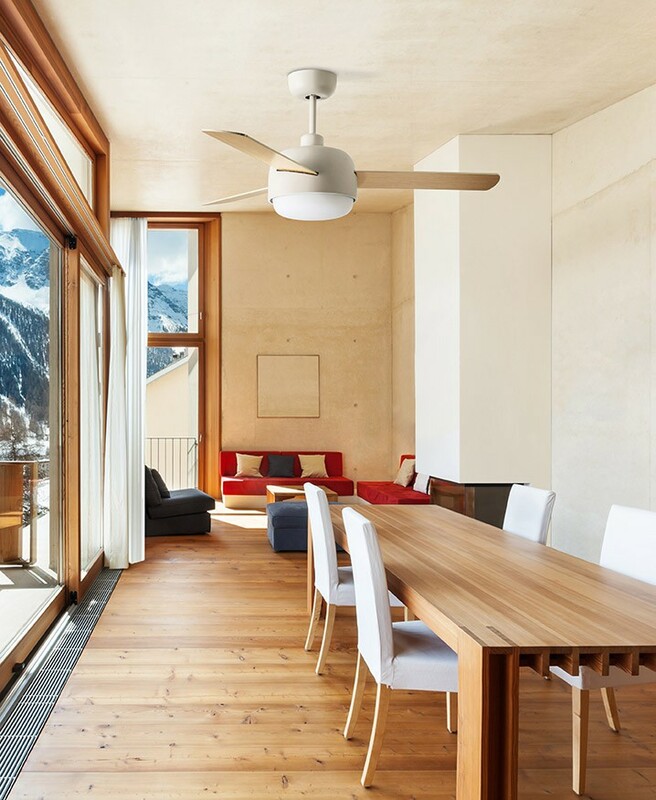 It is also possible to attach the device to sloping ceilings, which is good news if you are looking to install it in attics and roof-top apartments. 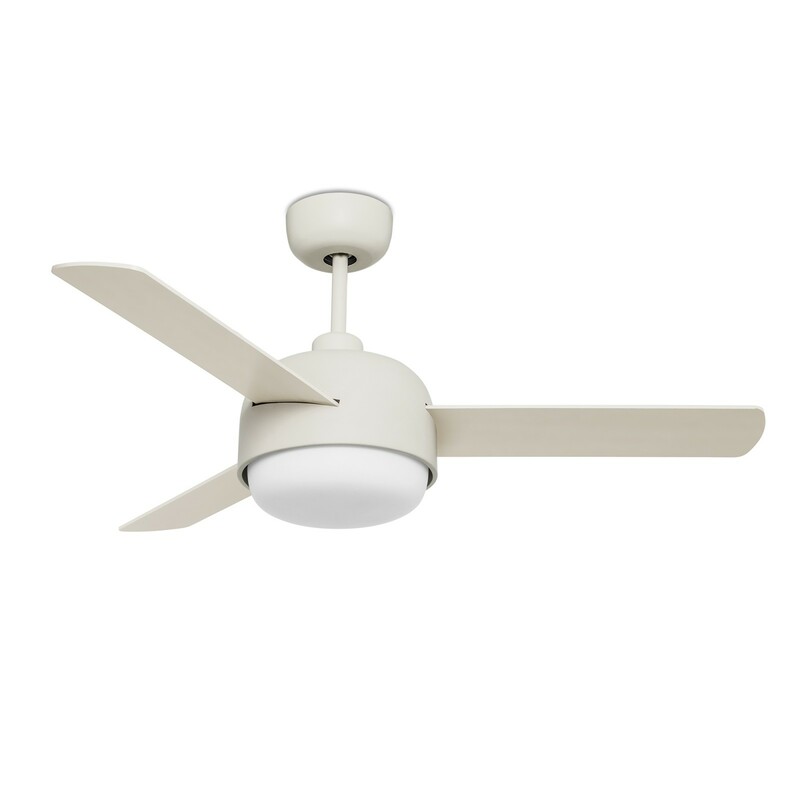 Light and fan can be controlled individually. 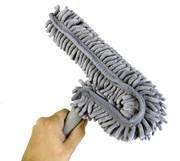 The delivery already includes a remote control that allows you to control the device from any point in the room. The light requires 2 x E27 bulbs with a maximum of 40 Watt each. Another benefit is the summer and winter mode - a slide switch on the motor housing lets you choose between forward and reverse operation to adjust the KLAR's operation to the season. Than itself offers three different speeds in each direction. The manufacturer La Creu offers 10 years of limited warranty on the product. 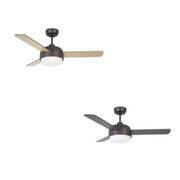 Ceiling fan Feroe White with light 107cm / 42"
Ceiling fan KLAR Copper Brown with Light 106cm / 42"